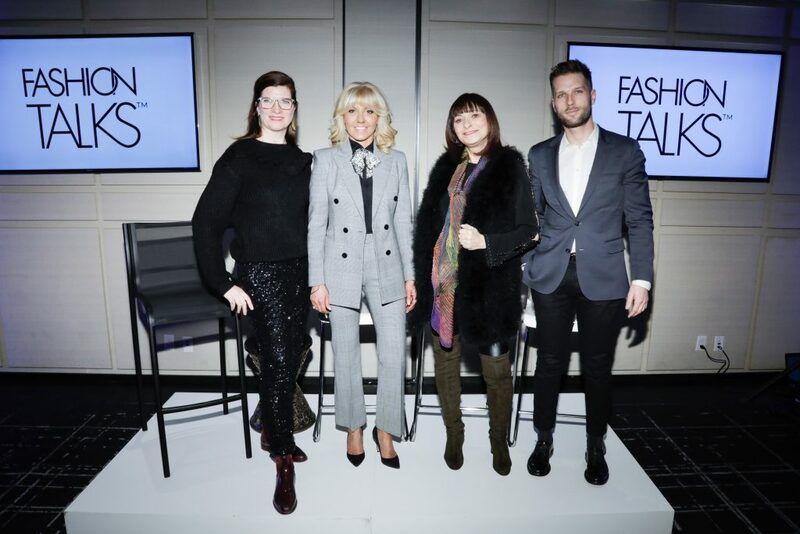 The final day of the F/W ’19 edition included breathtaking fashion moments at the Royal Ontario Museum, lively menswear presentations and an engaging Fashion Talks taping that covered fashion’s influence on neighbourhoods around the world. 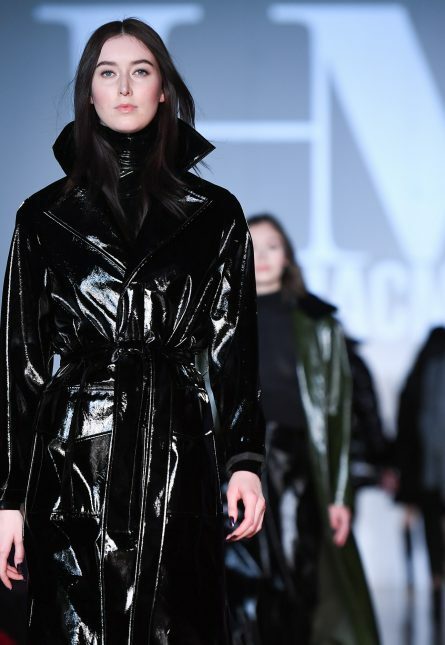 It was also the final day of the Designer Showroom in the Fashion Environment space, where show-goers and the public could meet and shop designs from both runway designers and other talented, independent Canadian labels. 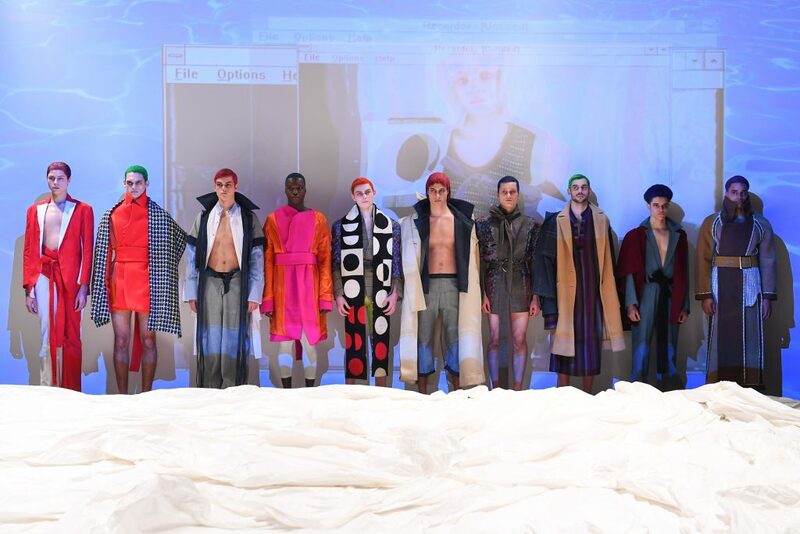 The look at Christopher Bates’ show at the Royal Ontario Museum was tailored and very cosmopolitan. The designer is particularly known for his elegant, made-in-Italy suiting and fine knits, and the collection included plenty of both. 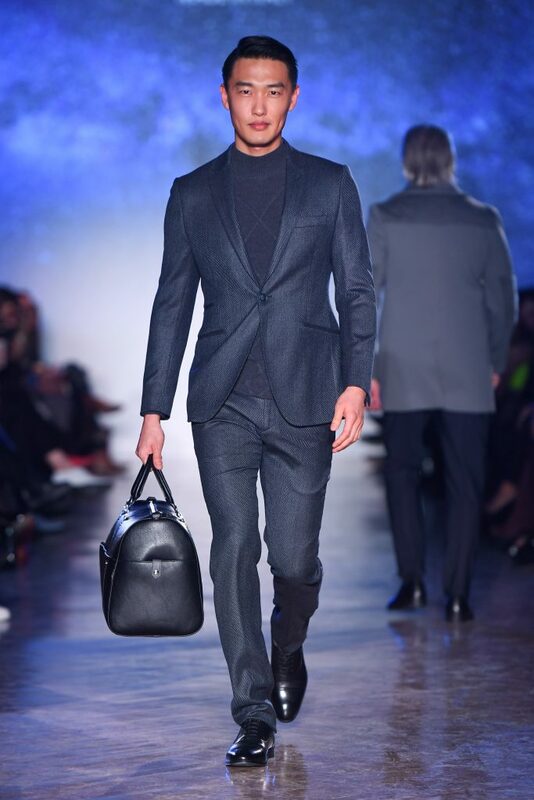 Other noteworthy pieces included the structured leather bags and stylish sunglasses on the runway, and hair looks that featured a “rockabilly, James Dean–type of feel,” created by Joao using paste, cream and clays from the Redken Brews line. On the beauty front, the hair at Hilary MacMillan was “natural” and “lived-in,” but with a very straight middle part. Simone Otis, P1M makeup artist and spokesperson for beautyBOUTIQUE by Shoppers Drug Mart, created a modern-natural look with full brows and highlighter on the cheeks. Finally, CND and Her Majesty’s Pleasure created stand-out plaid nails for the show. Narces’ F/W ‘19 collection featured stunning bridal and eveningwear looks combining elegant silhouettes and bold details. Many dresses were cut asymmetrically and complemented by oversized bows, ruffles and statement hats created by Toronto’s David Dunkley Fine Millinery. The makeup was Sophia Loren–inspired, according to Otis, and Joao created an “effortless up-do” for the show that was “very airy, very soft”. Mani Jassal’s exquisite collection, titled “With Love,” was handmade in Canada by an all-women team. According to the designer’s website, “The collection narrates a young love story through flirty details and light, flowy fabrics,” and features details such as floral prints and embroidery, and a soft pink, white and beige palette. For the show, Otis created a makeup look with white eyeliner and a full lash, paired with peachy cheeks and lips, while the hair by Joao incorporated long braids, crowns, and hair accessories by Mani Jassal. Curated in part by the Bloor-Yorkville Business Improvement Area, the fascinating conversation encompassed themes including retail and real estate trends, the role urban planning plays in cities today, and the parallels between the evolution of New York City’s Meatpacking District and Toronto’s Yorkville neighbourhood. 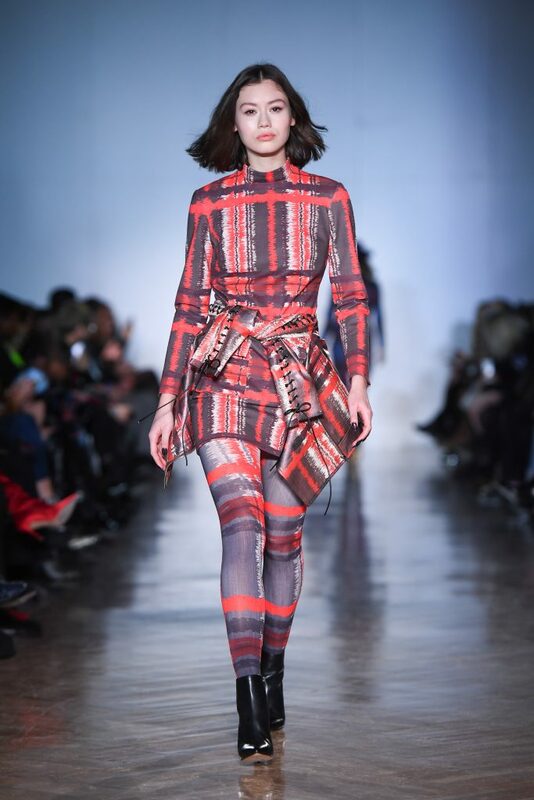 This season, 13 exciting labels participated the Toronto Fashion Week x RE\SET Designer Showroom, including Beth Richards, BIKO, Christopher Bates, Emily Kowalik, Hilary MacMillan, Jessica Bedard, Lesley Hampton, ooobaby, Pedram Karimi, ROCK N’ KARMA, ZOFF + Alan Anderson, and Zoran Dobric. 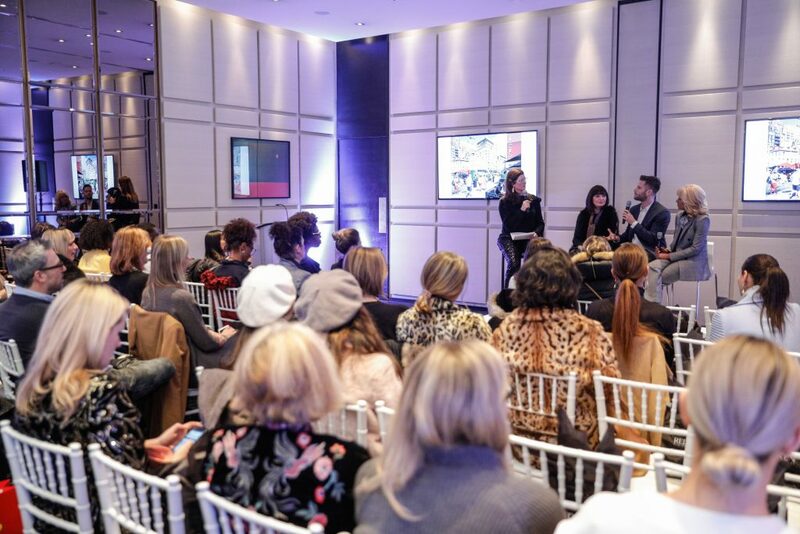 Show attendees and members of the public alike were able to get up close and personal with a curated selection of straight-off-the-runway designs, and shop in-season designer ready-to-wear, jewelry and accessories throughout fashion week.